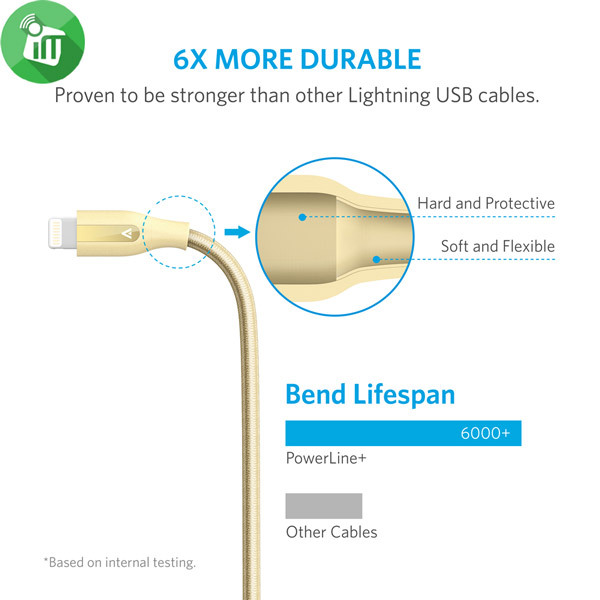 Lasts 6ft 1.8M Longer: Reinforced stress points with a 6000+ bend lifespan make PowerLine+ many times more durable than other Lightning cables. ♦The Anker Advantage: Join the 10 million+ powered by our leading technology. 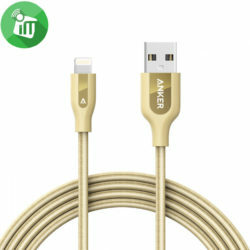 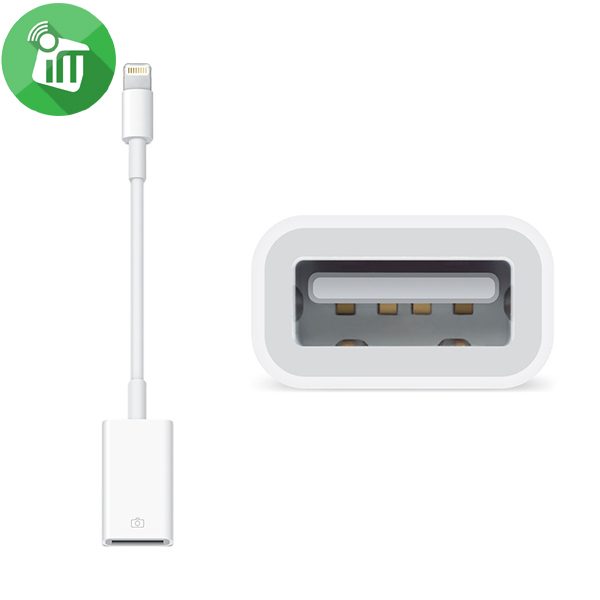 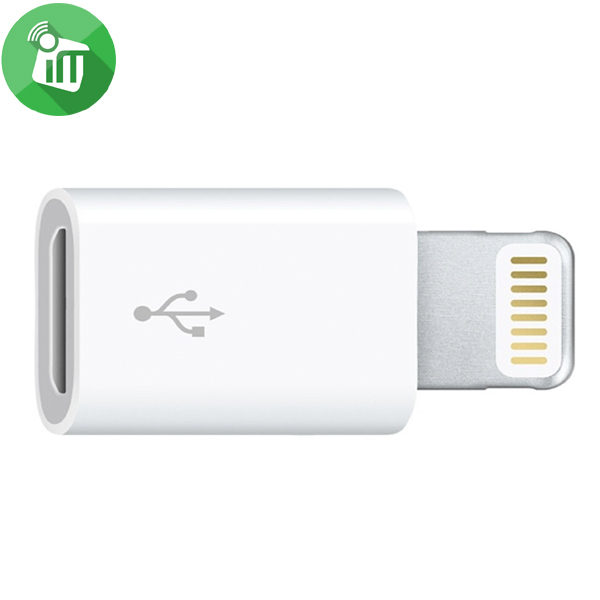 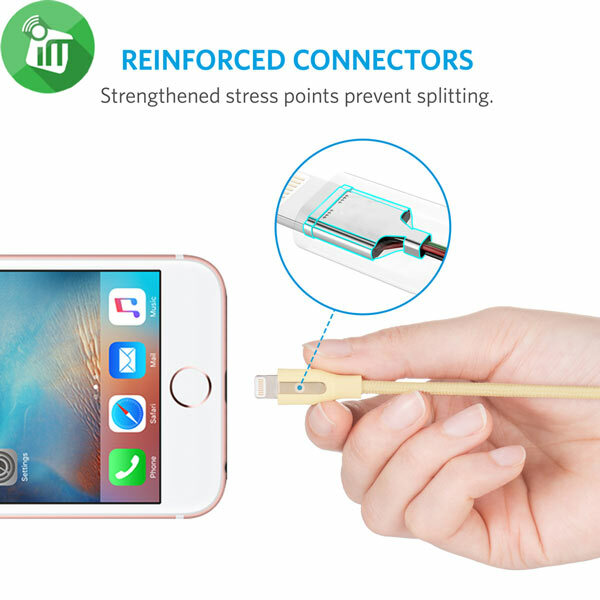 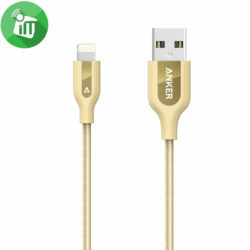 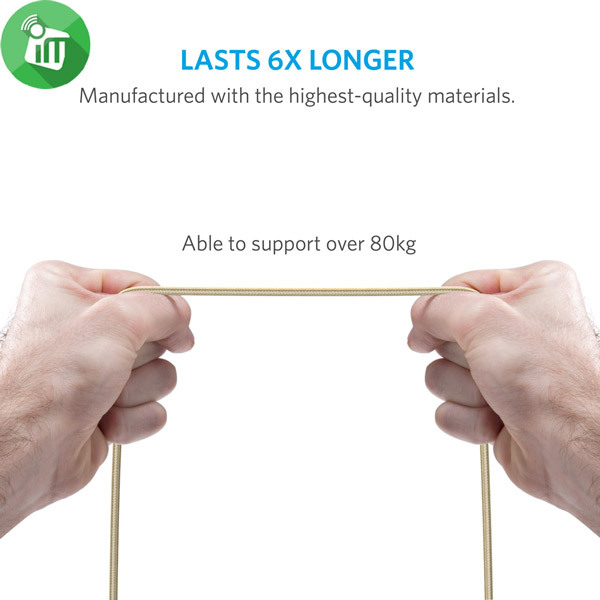 ♦Lasts 6ft 1.8M Longer: Reinforced stress points with a 6000+ bend lifespan make PowerLine+ many times more durable than other Lightning cables. 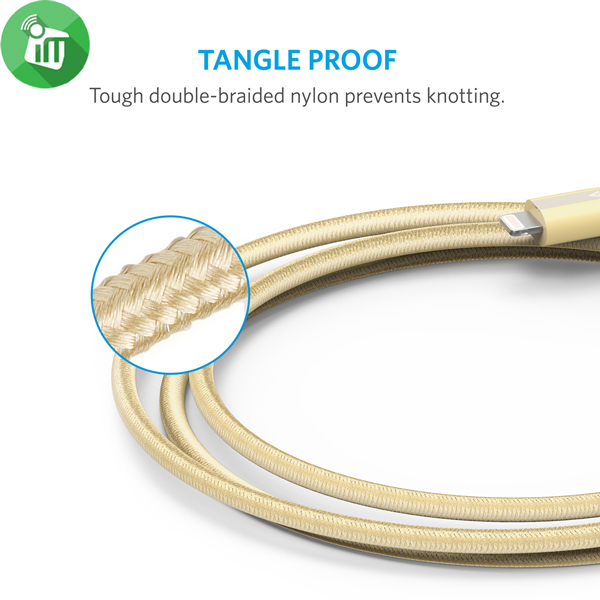 ♦Incredibly Strong: Double-braided nylon exterior, toughened aramid fiber core and laser-welded connectors equip PowerLine+ with superior toughness from end-to-end. 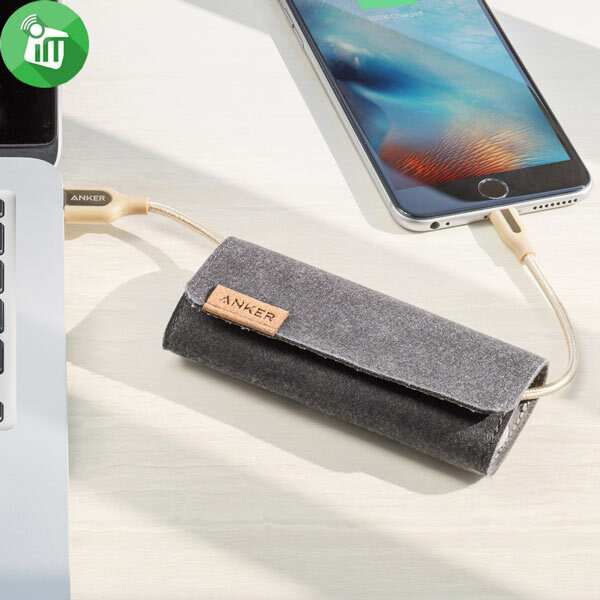 ♦Adjustable Pouch: Includes an innovative carry pouch which allows you to neatly adjust cable length for any situation. 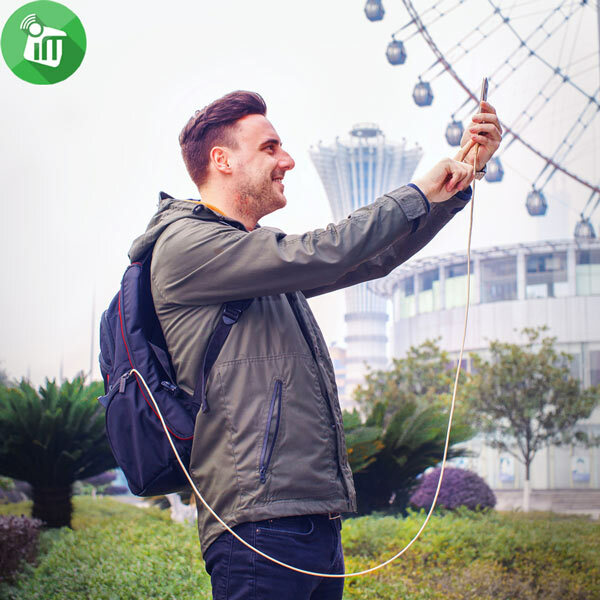 Also provides high protection when transporting PowerLine+.